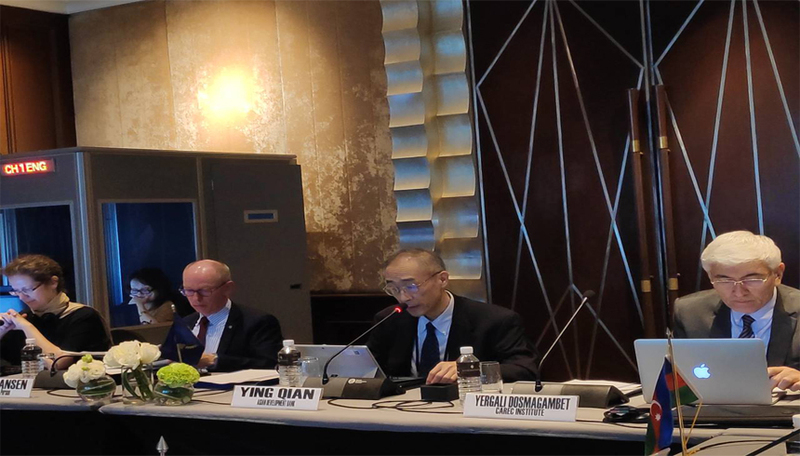 The Asian Development Bank (ADB) and CAREC Institute jointly organized a workshop for CAREC member countries to share their experiences in implementing the World Trade Organization (WTO) Trade Facilitation Agreement (TFA), which entered into force in 2017. The workshop served as a platform for developing implementation roadmaps toward full compliance of CAREC countries with their TFA commitments. During the workshop, CAREC countries shared ongoing activities designed to achieve TFA compliance, and identified priority areas where challenges are encountered and technical assistance is required. Poul Hansen, technical expert from the United Nations Conference on Trade and Development (UNCTAD), provided guidance in preparing national trade facilitation roadmaps anchored on the WTO TFA and shared international best practices. CAREC countries developed and shared preliminary strategic implementation roadmaps using an integrated national and regional approach, and reflecting short- and long-term plans to comply with the TFA provisions. The workshop was convened in preparation for CAREC’s participation in the ADB Inter-Subregional Forum on Enhanced Implementation of the WTO TFA, which was held on 30-31 October 2018 in Bangkok, Thailand.